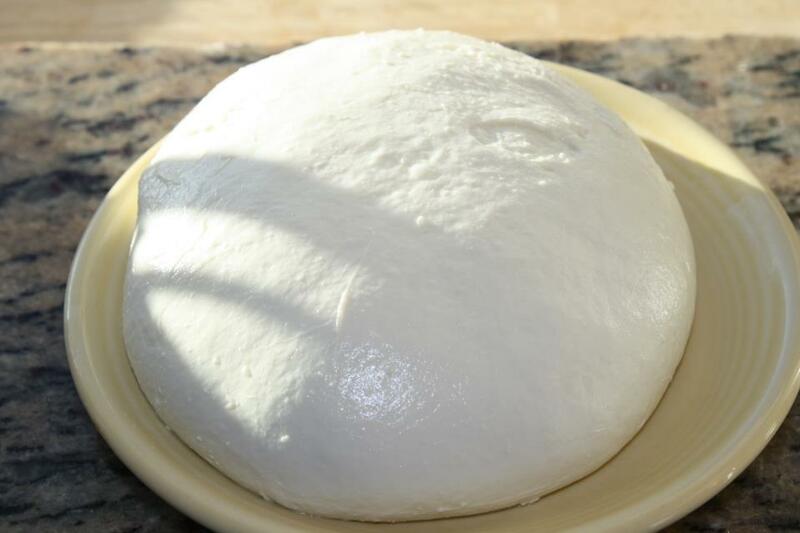 Well, you don't need to make your own mozzarella fresca, but it's super duper easy, fun, and I can't emphasize exactly how mouth watering fresh, homemade mozzarella is when drizzled with a bright, peppery herbaceous extra virgin olive oil such as the Coratina. Whether you make your own mozzarella fresca or buy it from the market, this fantastic dish is the perfect showcase for the last heirloom tomatoes of the year paired with fresh, dazzling extra virgin olive oil. Arranged sliced tomatoes on a plate. Sprinkle with salt and pepper. Whisk balsamic and extra virgin olive oil together. 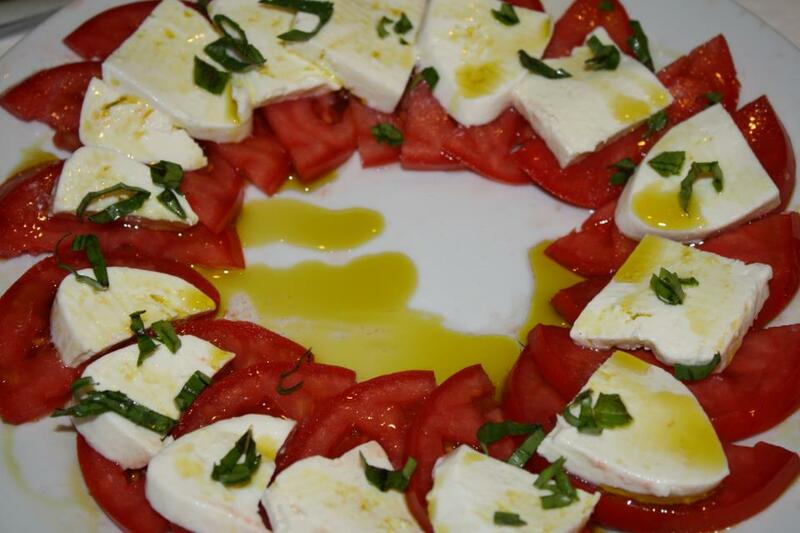 Place a slice of mozzarella on each slice of tomato and sprinkle with basil chiffonade. Drizzle with the vinaigrette and serve. 1 gallon fresh, local, organic if possible, whole milk - not ultra pasteurized! Mix the tartaric acid with one cup of filtered water and add to the cold milk. Add the milk to a clean 8+ quart sterilized pot set over medium heat. Bring the milk to exactly 88 degrees, while stirring frequently. 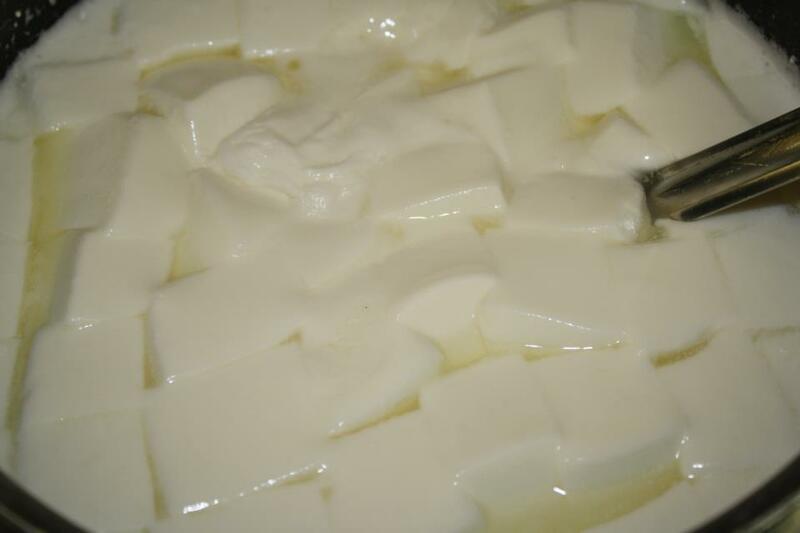 Mix the rennet with the remaining 1/4 cup of cool water and add to the heated milk. Mix the milk continuously for a minute. Line a large colander with cheesecloth and gently ladle the curds in to it. If desired you can retain the liquid why and use it for making baking bread, milkshakes, or just drinking as it is very nutritious and delicious. Place this ball (which should weigh approximately 1 pound) in a bowl of cold lightly salted water until completely cool and then it will be ready to use immediately. If not using right away, store it submerged, and refrigerated in lightly salted water in a sealed container until ready to use. Use within four days, although fresher is better!